This project was for CNC Routed Laminated Wood Letters. This set was routed to our client’s choice of laminated plywood and also their choice of stain. The backs of the letters were then drilled and tapped to accept aluminum standoffs for installation. LCI provides a template with all of the hole locations for easy layout the sign. The customer can then drill the wall and fill the holes with silicone. Push the letters in and it’s done! 1. Do I need to supply LCI with a cad file for the project I need produced? 2. What format files do you work with? 4. 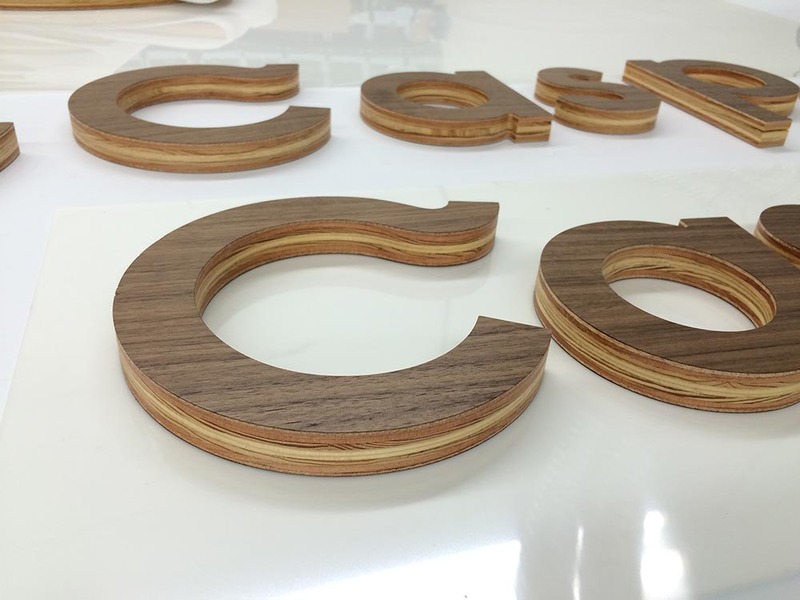 Does LCI send a proof before producing CNC Routed Laminated Wood Letters? 5. 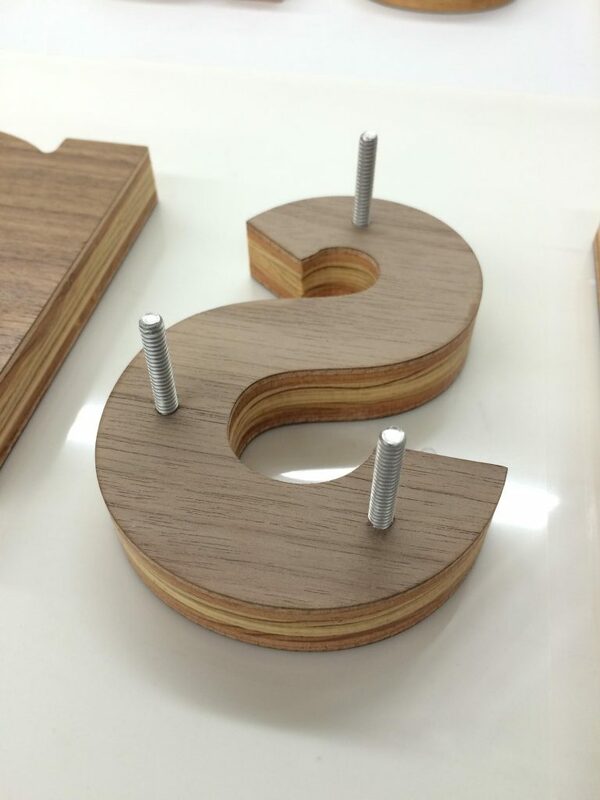 Can LCI produce sample CNC Routed Laminated Wood Letters before running large orders? A: Yes! We can make a production sample before large production at a small charge. 6: Will the ink scratch off of direct print laser cut acrylic products? A: No. Our proprietary printing and cutting process leaves ink in tact even after laser cutting through it. Our ink adheres strong and is tough to scratch off. 7: Is a UV Flatbed Acrylic Print durable? A: Yes. Our inks will not scratch off acrylics. 8: Is a Laser Engraved Acrylic LED Sign more expensive than a printed sign? A: Yes. A Laser Engraved Acrylic LED Sign takes more machine time to produce and they do cost a bit more than printed sign panels.